Nearly everyone who knows Gerald “Gerry” A. Fernandez and the work that he does for The Multicultural Foodservice & Hospitality Alliance (MFHA), describes him as a man of vision, dedication, and passion. 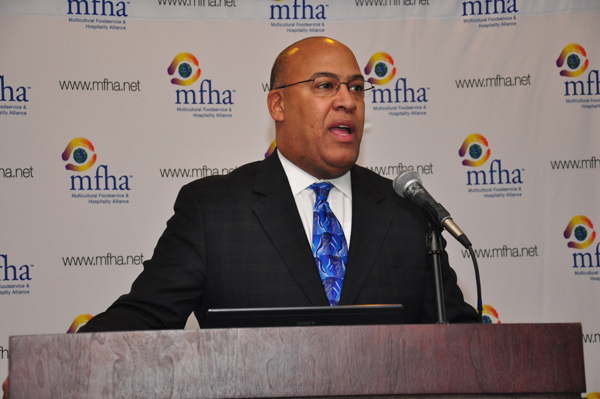 As President and Founder of MFHA, a non-profit organization that promotes cultural intelligence in the workplace. Bring the MFHA passion and expertise LIVE, to your location. The best way to learn is still live; especially if you’ve got Gerry A. Fernandez as Presenter and Facilitator. Nothing beats listening to Gerry passionately present the “Business Case for Cultural Intelligence”, lead a “Cultural Intelligence Workshop”, share insights on “Engaging the Multicultural Community to Drive Better Business Results”, or impart informed outlook on the state of diversity in the industry. Gerry is the “voice” of MFHA; an engagingly energetic Speaker who practices “straight talk”, providing keen business-building insights gained from actual multicultural Member experiences. With over 35 years of experience in the industry, Gerry has held leadership positions with several well-known companies including The Waldorf-Astoria Hotel, Hemenway’s Seafood Grill & Oyster Bar, The Capital Grille and General Mills, where he got his start in diversity and inclusion work. Gerry’s career-altering moment happened while still employed as a National Account Manager for General Mills. He saw an ad for the 1995 Women’s Foodservice Forum (WFF) Conference. After a brief conversation with a WFF contact, he was convinced to attend. It was at the conference that the idea for MFHA came to him. “I thought, if there is a need for a women’s group to promote opportunities for women, then there ought to be a group to promote opportunities for = minorities,” he shares. 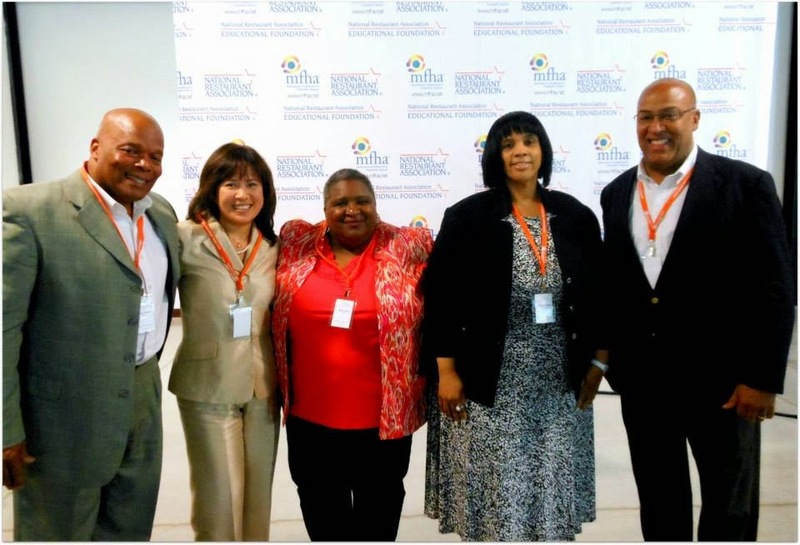 MFHA was the first organization to bring about a national discussion on diversity management in the hospitality industry just a year later. An engagingly energetic Speaker who practices “straight talk”, he travels across the US and internationally, bringing authentic perspective on building Cultural Intelligence that raises the top line, improves the bottom line and builds cultural authenticity into the brand. He is also a sought-after motivational speaker, inspiring others to find new ways to recover and succeed over life’s setbacks, based on a personal tragedy. A former Trustee of Johnson & Wales University, Gerry holds a Bachelor of Science degree in Foodservice Management from the same school, where he also earned a Culinary Arts degree in 1976, and received an honorary doctorate in Business Administration in 1999. He remains actively involved in allied organizations: as an honorary Board Member of the Rhode Island Community Food Bank, Life Member of the National Association for the Advancement of Colored People (NAACP), The National Council of La Raza, The Women’s Foodservice Forum (WFF) and the National Restaurant Association.